“We draw inspiration from artists like James Turrell or Donald Judd, who understand color and form in an advanced way. Or even Raf Simons. We're definitely pulling inspiration from various mediums.” founder Nick Cope says. 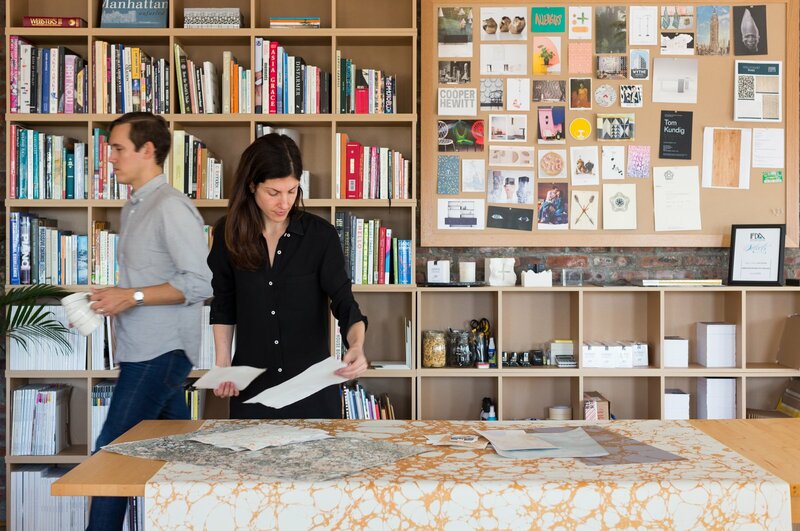 The couple reviews materials in the Brooklyn-based studio.